In the area 100 to 1,000 meters below the ocean's surface—dubbed the twilight zone because of its largely impenetrable darkness—scientists found that tiny organisms called phaeodarians are consuming sinking, carbon-rich particles before they settle on the seabed, where they would otherwise be stored and sequestered from the atmosphere for millennia. "Carbon dioxide is constantly diffusing into the ocean from the atmosphere and back into the atmosphere from the ocean," Stukel said. "In the surface ocean, when phytoplankton do photosynthesis, they're taking up carbon dioxide. 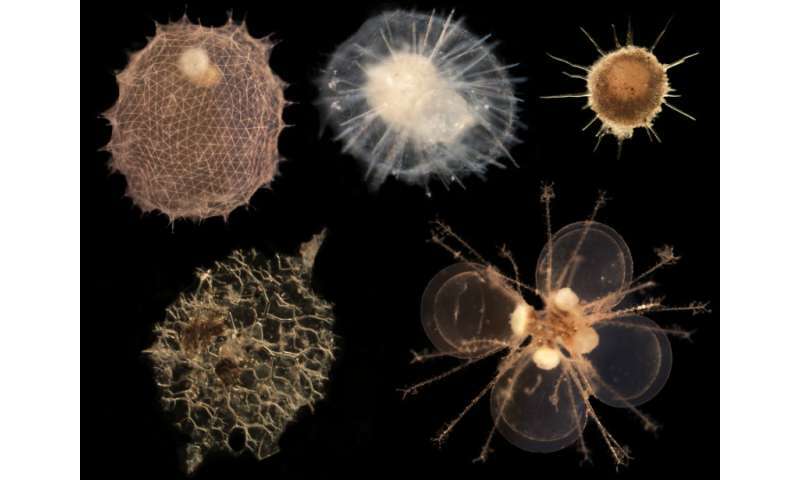 But phytoplankton only have lifespans of days to a week, so those phytoplankton are likely to die in the surface ocean—usually by getting eaten by small organisms like krill."